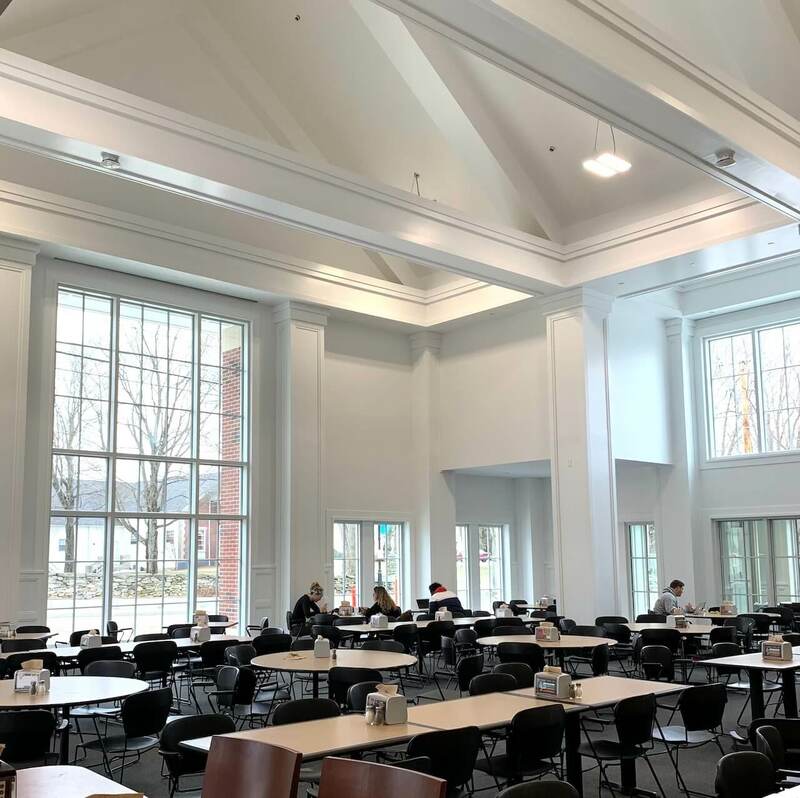 Just in time for the start of the spring 2019 semester, the new street-facing addition of Lombard Dining Hall opened. Students, faculty, and staff are loving it, with some posting photos of it to social media. Featuring big windows that let in bright light against white walls, it’s the cathedral-style ceiling on the new addition that can’t be missed. A similar ceiling is under construction on the older part of Lombard. 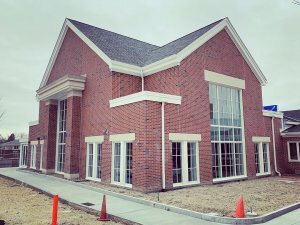 In December 2017, Nichols launched the multi-phase project to renovate the 44-year-old Lombard Dining Hall at 119 Center Road. Construction is expected to be complete by the fall 2021 semester. Plans for the dining hall project include: a reconfigured dining area; a Neapolitan-style brick oven for gourmet pizza, a larger deli sandwich station and an expanded, dual-sided self-serve soup-and-salad bar; the above-mentioned cathedral ceiling and roof as well as energy-efficient windows for lots of additional natural light; new flooring, furniture, and décor; and new, independent serving stations to include “on-demand” hoods and variable-speed vents to manage energy consumption. Already completed: relocated and easily accessible entrance and exit doors and bathrooms. Built in 1974, the 24,860-square foot dining hall last saw minor renovations in 2005, when it was dedicated as Lombard Dining Hall in honor of David Lombard ’65, trustee emeritus, and his wife, Susan. This new project will add 1,500 square feet to the building. Its current capacity is 350 diners; the renovation project will increase it to approximately 450. 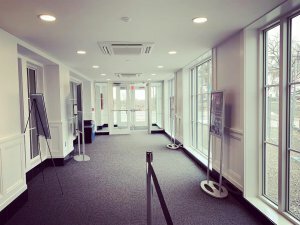 The project builds on the successful design and construction of the academic building and Fels Student Center, which opened in 2015 and 2012, respectively. Campus Life, Slider, Students architecture, buildings, campus, campus beauty, college, construction, dining hall, Lombard Dining Hall, Nichols College, renovation. permalink.